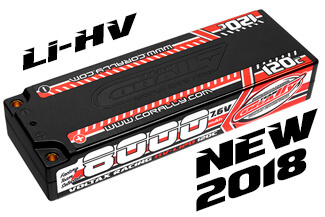 Corally has just launched a new line of LiPo batteries. They have chosen the highest quality LiPo's for the high expectations of R/C racers. We have these LiPo's in stock as we truly stand behind the quality of these high grade LiPo's. 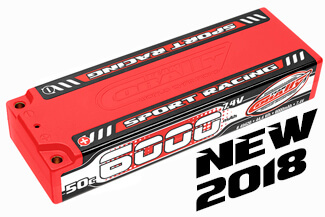 - The Corally Sport Racing 50C is the budget line, good quality for lower prices. - The Corally TC X-TREME PRO 90C is the high-end line, the best quality and durance for a matching price. - The Corally Voltax 120C is the line for pro racing LiPo's, with the best LiPo cells able to keep a high voltage for a very long time.